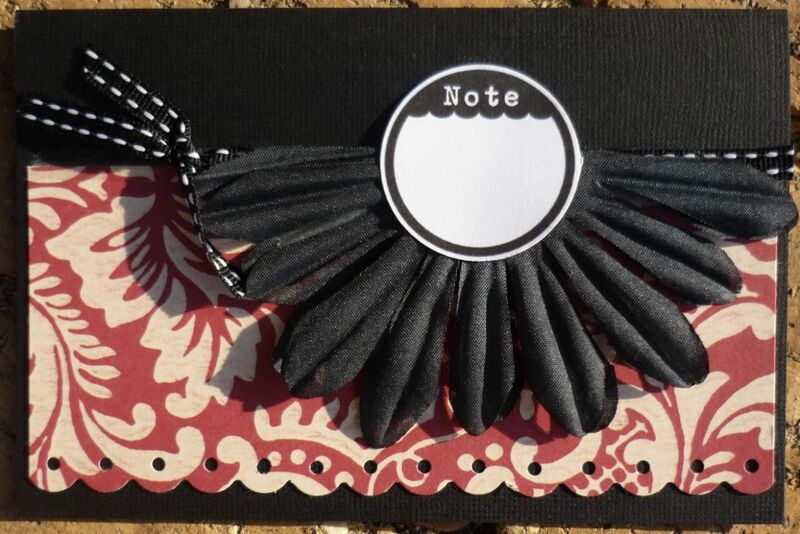 Well you all know I love my Red Black and Kraft/Cream, and Jenni Bowlin often fits the bill, when Belinda chose her DT pack this month, I was in drool heaven putting it together...and even more so with this fantastic Mojo Inspiration. Belinda has managed to stretch the love over many items...very important when it's a paper you love. 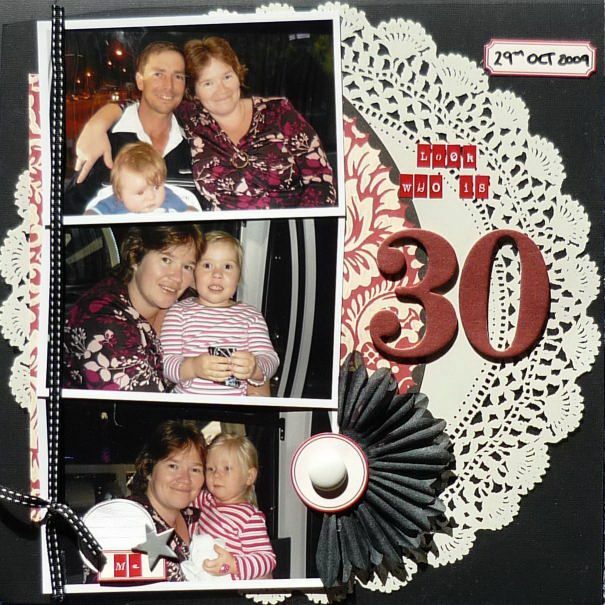 1 card and 1 gift tag using just 2 sheets of c/s, 1 pp and 1 overlay with embellies to suit. You dont even need the 2nd cardstock really Belinda just liked it as it helped to showcase the overlay a little more. And Belinda fell in love with the pattern and colours as Did I when I was shopping ....mmmm Black/Red/Cream LOVE IT!!! So let's check out what Belinda did with it... 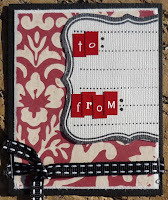 Using Half for the simple 6x12 Layout. 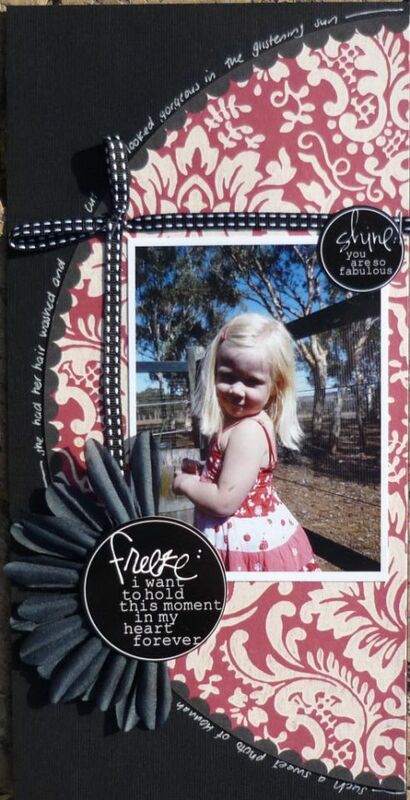 I lovethat 6x12 pages are so simply stunning, they also make great gifts - or large cards.!!! The second Half helps to enhance the colours in the 12x12 Layout, and is only just poking out from under the photos. 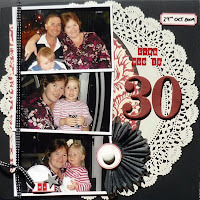 Then being very clever, Belinda has cut the part hidden by her photos out to use on her Card and Gift Tag....Great creative frugal use, many uses from one Sheet of 12x12. It is hidden anyway, so why not use it for something else. SO, next time your about to cover up a larger amount of nice patterned paper that you love why not trim and use what would be hidden anyway....great cards from patterned paper thats not going to be seen anyway. 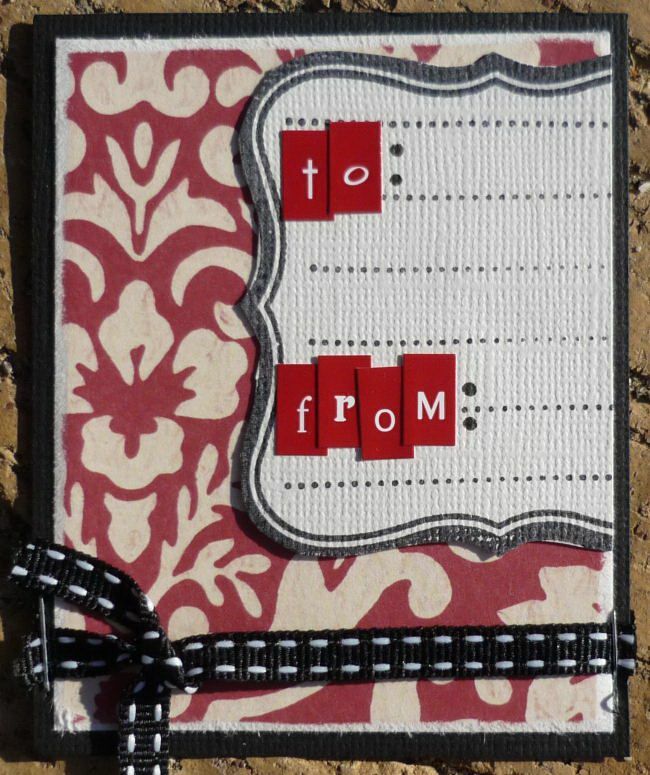 The beauty of this is you can make a patterned paper stretch over many projects and by making the card and gift tag as you go reduces cleaning up time!!! One of our big Tips...cards and cleaning go hand in hand. Paula took the words right out of my mouth Belinda.